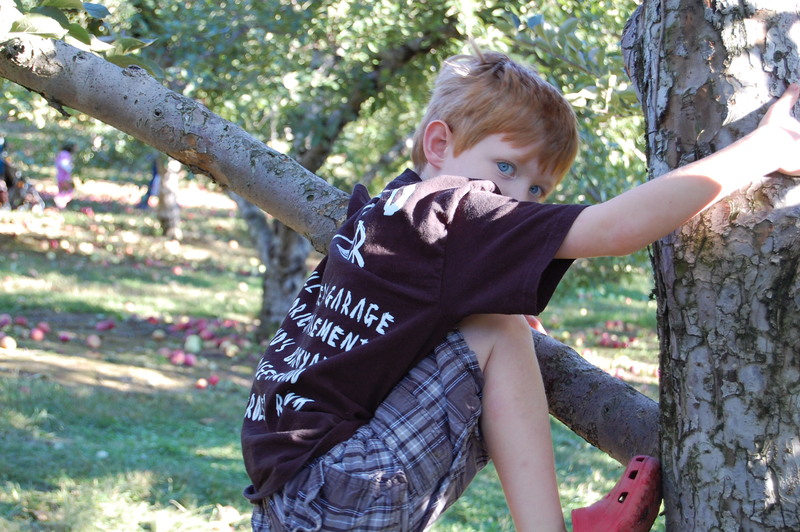 For the past seven years, we've been going to Dr. Davie's Farm in Congers, NY for apple picking. Sure, it's ridiculous to pay $30 for a sack of apples, but it so much fun getting the apples. The boys hoist themself on the bottom branch of the tree and take a bite out of the nearest apple. The juice runs down their chin. Now, I have to find ways to use all those apples. Pork chops and apple sauce for dinner tonight!